With the box office success of The Avengers ($1,511,757,910), along with huge DVD sales, lots of attention is being paid these days to such classic Marvel heroes as Captain America, Iron Man, Thor, and The Incredible Hulk, the latter of whom was played in the film with gusto and good humor by Mark Ruffalo. Decades before Ruffalo donned the green greasepaint for the silver screen (actually, he wore a green motion-capture suit), bodybuilder Lou Ferrigno played the not-so-jolly green giant on television in the popular The Incredible Hulk series, which ran on CBS from 1978 through 1982 for a total of 82 episodes. In addition, there was a two-hour pilot on CBS in 1977, chronicling Hulk’s origin story (which differs considerably from the comics), plus three made-for-TV films: The Incredible Hulk Returns (1988), The Trial of the Incredible Hulk (1989), and The Death of the Incredible Hulk (1990), each of which aired on NBC. Prior to The Incredible Hulk, Ferrigno starred with Arnold Schwarzenegger in the docudrama Pumping Iron (1977), which follows Schwarzenegger as he defends his Mr. Olympia title against Ferrigno and a French body builder named Serge Nubret. During the 1980s, Ferrigno appeared in such B-movie turkeys as Hercules (1983) and Sinbad of the Seven Seas (1989), but the Hulk is easily his most important role. As fans of the series well know, Bill Bixby played Dr. David Banner (Bruce Banner in the comics), Hulk’s alter-ego. Thanks to a gamma radiation experiment gone awry, when Banner would get upset (“You wouldn’t like me when I’m angry”), he would lose control and turn into a green-eyed, green-haired, green-skinned Lou Ferr…ahem, Incredible Hulk. While The Incredible Hulk made Ferrigno an international star, Bixby was already famous for his roles on two popular shows: My Favorite Martian (1963-1966) and The Courtship of Eddie’s Father (1969-1972). Chris Latshaw, who runs North Texas Comic Book Shows, a quarterly mini-con in the Dallas/Fort Worth area, has fond memories of watching The Incredible Hulk when it originally aired and appreciates the acting chops of both Bixby and Ferrigno. The Hulk was originally created for Marvel Comics by writer Stan “The Man” Lee and artist Jack “King” Kirby in The Incredible Hulk, which was published for six issues from 1962-1963. 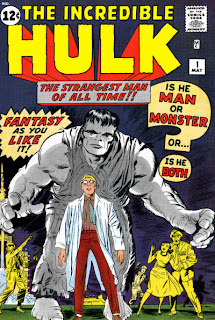 Influenced by Boris Karloff’s sympathetic portrayal of the monster in Frankenstein (1931), and by Robert Louis Stevenson’s The Strange Case of Dr. Jekyll and Mr. Hyde (1886), the Hulk was a work in progress at this early stage as he was gray (at least in the first issue) and only hulked out at night. According to the 2012 Overstreet Comic Book Price Guide (Gemstone Publishing), a near mint (9.2) copy of The Incredible Hulk #1 is worth a whopping $90,000 (first appearances of key characters are of HUGE importance to comic book collectors), with subsequent issues priced considerably lower: #2, $8,500; #3, $5,500; #4, $4,500; #5, $4,500, #6, $4,800. Shortly after the cancellation of The Incredible Hulk comic book series, the character appeared in Fantastic Four #12 ($2,700), in which he battled the Thing, and then in Avengers #s 1 ($4,200), 2 ($935), 3 ($750), and 5 ($350). After a couple more Fantastic Four appearances and an appearance in The Amazing Spider-Man #14 ($2,050), Hulk became a lead player in Tales to Astonish beginning with issue #60 ($175). Tales to Astonish ended in 1968 with #101 ($85), but later the same year Marvel continued the numbering with The Incredible Hulk #102 ($150), and that series ran until 1999 with issue #474 ($2.00). 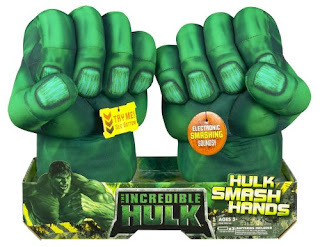 Hundreds of Hulk comics have been published since then, and the character, who has gone from a raging brute to a rational creature with Banner’s intellect and back again, remains a Marvel staple. Latshaw owns comics from the recent World World Hulk series back to the “older stuff from the 1980s,” but his favorite Hulk item is a set of Smash Hands (now worth more than $100 new in the box) that he originally bought as a gift. 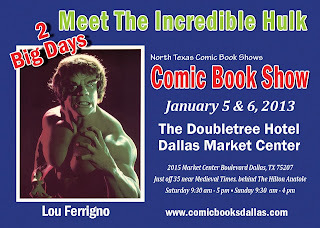 Judging by the next installment of Lathshaw’s North Texas ComicBook Shows, he thinks Lou Ferrigno is pretty cool as well. Ferrigno is going to be the featured guest at the event, meeting and greeting fans, posing for pictures, and signing autographs. 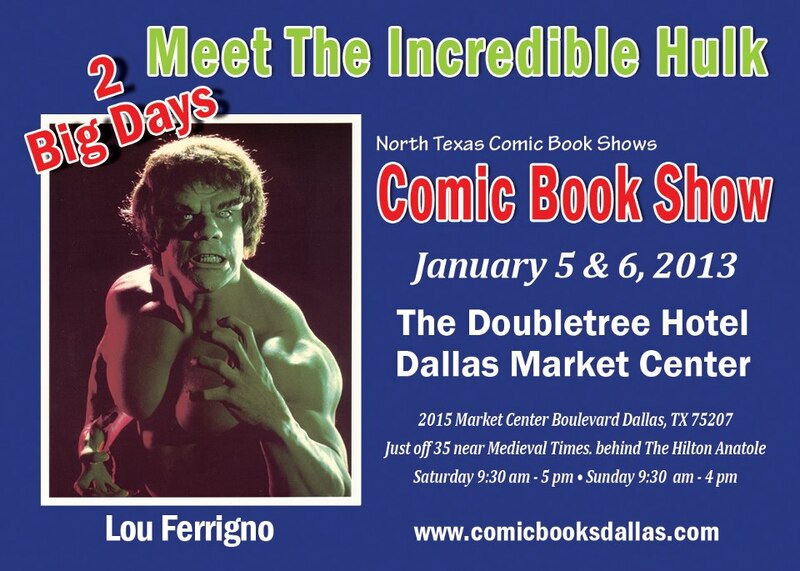 Even if you aren’t into the Hulk or Lou Ferrigno, you may want to plan on attending the show, which takes place January 5th and 6th at The Double Tree Hotel on Market Center Boulevard in Dallas. In addition to the Ferrigno autographing, there will be thousands of old and new comic books for sale, along with such related items as paperback books, model kits, action figures, and trading cards. Five-Star Fiction Just 99 Cents!